What are New Products In Magento? Automatically updated "New Arrivals" page can be created using the extension. The page can show new products or all the store or for specified category. Product list for the page will be updated automatically, depending on product settings. "New Arrivals" page can be created either original Magento Layered Navigation or SEO Layered Navigation Plus extension by MANAdev is used. You can add all products created during last X days. 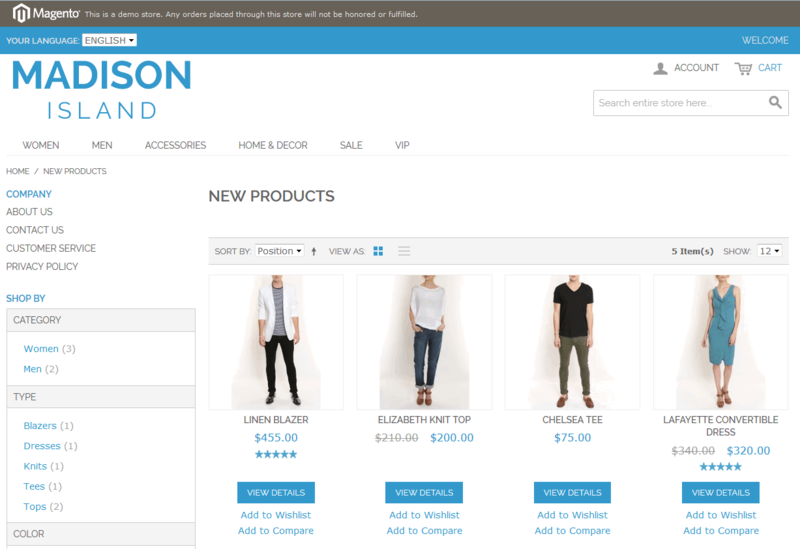 Create a CMS page on which you will place a list of new products. 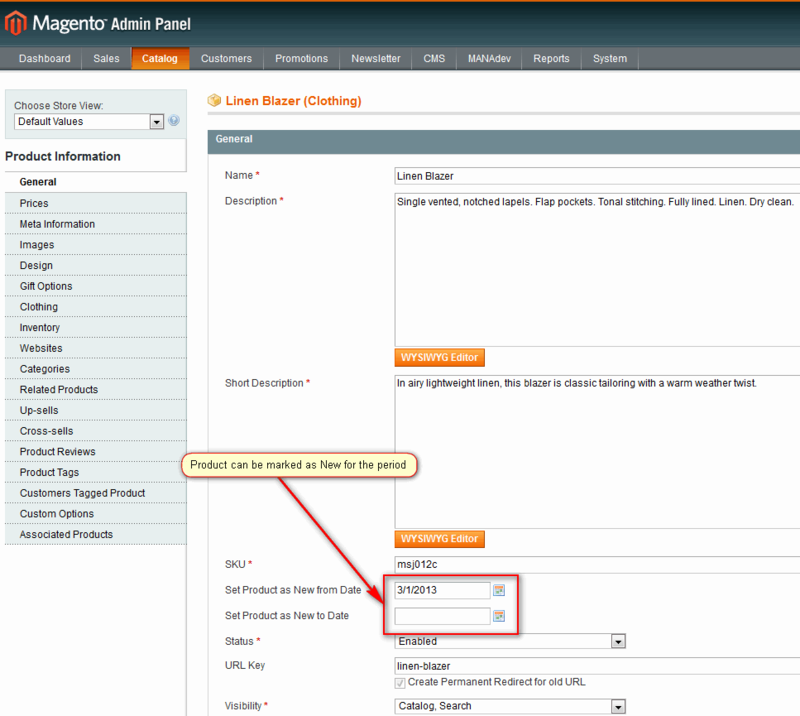 To do it go to menu CMS-> Pages and press Add New Page in Magento Admin Panel. Read How To Create New Arrivals Page For Custom Attribute and do modifications if you need. If "New Arrivals" page should contain new products for all the store it is necessary to find root category ID before configuration. It can be done in two steps. If SEO Layered Navigation Plus extension by MANAdev is used you can also easily apply new product filter and custom attribute filter on one page.